A contaminated drug — in this case an injectable steroid for back pain — has sickened more than 200 patients and claimed fifteen lives in the past week. The medical crisis has quickly escalated —CNN reports seven new deaths were reported over the weekend. The Centers for Disease Control and Prevention is now reporting a total of 205 cases of fungal meningitis, believed caused by contaminated steroids from the New England Compounding Center. As many as 14,000 people may have received the injections. 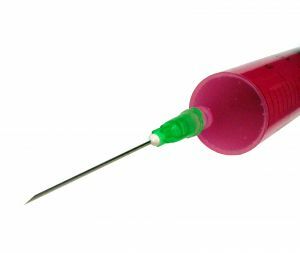 Texas defective drug attorneys understand that this is far from an isolated incident.Compounding centers mix customized drugs for hospitals, pharmacies and medical centers. While the products they use are approved by the Food & Drug Administration, the final product is not subject to the same control measures. States are responsible for control measures at compounding pharmacies. In this case, the governor of Massachusetts is already indicating the facility may have misled state licensing agencies. The truth of the matter is that the Food & Drug Administration wins no awards when it comes to ensuring the safety of the drugs it does approve. Loopholes, including ones that permit such mixing and compounding facilities, only add to the challenges when it comes to keeping consumers safe. Patients in this case may be at particularly high risk because back injections are a direct means of contracting meningitis, which is an inflammation of the protective membrane around the brain and spinal column. Meningitis is a life-threatening health crisis. Symptoms may include confusion, discomfort, dizziness, headaches, dizziness and nausea. A number of victim’s have suffered strokes. The Fort Worth Star-Telegram reports patients have been diagnosed in Texas, Florida, Idaho, Illinois, Maryland, Indiana, Michigan, Minnesota, New Jersey, North Carolina, Tennessee, Ohio, Texas and Virginia.The steroid is a methylprednisolone acetate suspension. Three lots have been recalled and clinicians in 23 states are calling patients. Authorities are concerned about an onslaught of diagnosed cases because most have been diagnosed nearly three weeks after injection. “If patients are having new or worsening symptoms, even mild symptoms, they should be evaluated immediately,” said Benjamin Park, of the CDC. The three lots, according to the Massachusetts Board of Registration in Pharmacy, are 05212012@68, 06292012@26, and 08102012@51. The media is reporting it’s not the first time the New England facility has been in trouble with federal authorities over unsafe practices that either resulted or could have resulted in contaminated drugs. In this case, the FDA says at least one unopened vial at the facility has tested positive for fungal meningitis. As NBC News reports, this case has clinics and medical facilities reviewing where they receive drugs and other pharmaceutical products. But the reality is that many health care facilities are turning to discount operators or oversees pharmaceutical companies to reduce costs. When combined with lax federal oversight, the consequences are too often deadly. If you’ve been injured by a dangerous drug or medical product, contact the Herrera Law Firm at 800-455-1054 for a confidential consultation. A 17-year-old driver faces possible charges after killing an avid cyclist in a San Antonio bicycle accident. The rider was struck about 3:20 p.m. near West Avenue and West Silver Sands Drive. The Express-News reports the man in his 50s appeared to be an avid cyclist, based on his clothes, helmet and shoes. Witnesses told police the truck was weaving in an out of traffic at a high rate of speed before the crash. And the driver may have run a red light. After striking the cyclist, the truck smashed through a road sign and hit a utility pole before traveling another 50 yards and coming to a stop. Bicycle accident attorneys and veteran riders understand the risks. Most often, these crashes are caused by a distracted driver or a driver who fails to yield the right of way to a cyclist. These riders have the same rights to the road as the operator of a passenger vehicle. Unfortunately, those rights are too often ignored by the motoring public, resulting in serious or fatal injury. The National Highway Traffic Safety Administration reports more than 600 riders are killed and 50,000 are injured in motor-vehicle crashes each year. In 2010, a total of 42 riders were killed in Texas. Only California and Florida reported more cycling deaths. With the increasing popularity of cycling for recreation and fitness, middle-aged men are among the most common victims. Often a family’s primary wage earner, a serious or fatal accident can be devastating. These accidents claim the lives of relatively few women — 84 females were killed in bicycle accidents in 2010, the most recent year for which nationwide statistics are available. Nearly one-third of all fatal bicycle accident occur between the hours of 4 and 8 p.m. The media reports in this case the driver could face a manslaughter charge. 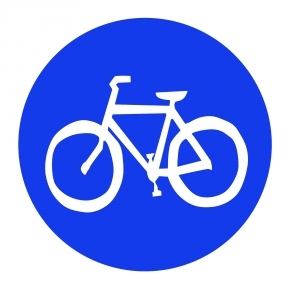 The city’s San Antonio Bikes webpage offers valuable resources for riding enthusiasts. San Antonio has made tremendous progress in extending its cycling infrastructure in recent years — adding over 175 miles of bike lanes, multi-use lanes and bicycle routes, according to the city’s 2011 Bicycling Master Plan. The city’s size (515 square miles) and relatively low population density (only Fort Worth has fewer residents per square mile) make improving infrastructure an ongoing challenge. However, with these improvements comes an obligation to rider safety — particularly at intersections and in other areas where cyclists are forced to interact with the motoring public. San Antonio rates 41st among 51 major U.S. cities when it comes to number of residents biking and walking — however it ranks 44th when it comes to bicycle safety. Clearly, there is much more work to do. Cycling SanAntonio reports Bike Share facilities are also proving popular with residents and tourists alike. These programs have proven a great way to reduce downtown congestion in a number of cities nationwide. But more bikes — and more novice bikers — all but guarantees an increased risk of accidents. Please stay safe out there and give our cycling friends a break. Four people died in three days last week in a string of pedestrian accidents in San Antonio. The Express-News reports a woman was killed Thursday as she attempted to cross U.S. 90 during rush hour. The accident occurred near the Hunt Lane exit shortly after 7 a.m. An approaching truck saw the woman and was able to slow down; but a following car drove out and around the truck and struck the victim, according to authorities. The driver of the truck never stopped but may not have been aware that an accident occurred, San Antonio police reported. San Antonio personal injury attorneys know many of these accidents involve a driver who is distracted, fails to yield the right of way, or is otherwise negligent. However, in three of the cases last week, police say the driver will not be charged. And authorities are urging pedestrians to remain alert and to obey all traffic laws. On Tuesday, a 90-year-old woman was killed crossing Fredericksburg Road in her motorized wheel chair; she was on her way from a bus stop to an adult day care. That same day, an unidentified homeless man was struck in a parking lot by an F-150. Police are still searching for the driver in that case. Also Tuesday, a 47-year-old woman was killed on I-35 after being struck by an 18-wheeler and numerous other vehicles. The truck driver in that case also did not stop. 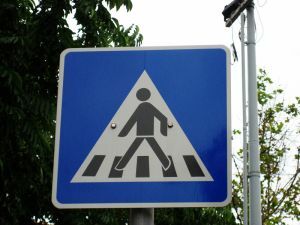 “(D)rinking, walking in the dark without light-colored or reflective clothing, walking facing the wrong direction and failing to look for or use a marked crosswalk,” are common reasons cited for pedestrian accidents, according to Scott Ericksen, of the San Antonio-Bexar County Metropolitan Planning Organization. The National Highway Traffic Safety Administration reports more than 4,200 people are killed and 70,000 seriously injured in pedestrian accidents each year. In 2010, Texas pedestrian accidents claimed 345 lives. Only Florida and California reported more deaths. NBC News reports pedestrian distractions are a more common occurrence with the advent of smartphones. In New York City, where half of all fatal accidents involve pedestrians, a pilot safety campaign is painting eyes in crosswalks and at bus stops, encouraging pedestrians and motorists alike to pay attention to where they are going. While pedestrians typically have the right of way, that will be of little consolation in the event of a serious or fatal accidents. As we see in several of these cases, hit-and-run drivers are frequently responsible for these crashes and may face serious felony charges if caught and convicted. However, of more practical importance to the family dealing with the serious or fatal injury to a loved one, is paying for medical care and recovering compensation for lost wages. The absence of an at-fault driver can make seeing such compensation a critical and complex process. In other cases, the driver may lack insurance or have a policy that is not adequate enough to cover the damages. These uninsured/underinsured motorist cases must also be handled by an experienced personal injury and wrongful death law firm. The number of fatal traffic accidents is up substantially this year — increasing concern among safety advocates who know the last three months of the year are typically the deadliest. 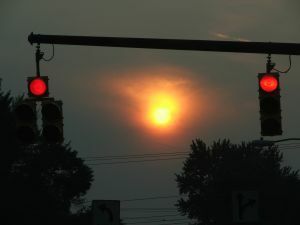 The National Safety Council reports 21,560 people were killed in motor-vehicle accidents through July 2012. San Antonio personal injury attorneys understand a host of factors often converge to make autumn the deadliest time of year on our roads. -Back to school brings the big yellow buses back to the road and increases neighborhood bicycle and pedestrian accident risks. 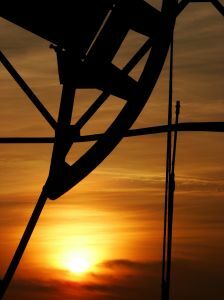 -The end of daylight savings time brings early dark – shutting the lights out on the evening commute and increasing accident risks. -The trio of year-end holidays bring a drastic increase in travel. -Drunk driving risks are typically greatest during the football season and the end-of-year holiday season. While the number of serious and fatal traffic accidents has declined steadily since the beginning of the economic downturn, that trend has likely ended. With more people back to work — and more people traveling — everyone’s accident risks increase. Through August, Texas traffic fatalities jumped 19 percent, one of the largest increases in the nation. Thus far this year, 2,141 people have died in accidents — compared to 1,869 for the same period last year and 1,796 for the same period in 2010. Only North Dakota, Massachusetts and California reported a greater percentage increase. And Texas was the only state in the nation to report more than 2,000 roadway deaths during that time period. While it’s true no one can eliminate their risks, the truth of the matter is that there is much the typical driver can do to reduce their risk of a serious or fatal accidents. Speeding: Speeding is involved in one-third of all fatal accidents. It decreases your reaction time and increases the force of impact. Drunk Driving: Drunk drivers kill more than 10,000 motorists a year, also accounting for more than one-third of all traffic deaths. Distracted Driving: Distracted driving has reached epidemic proportions in this country. While challenges with reporting methods have made concrete statistics elusive, the U.S. Department of Transportation estimates that at least 3,092 drivers were killed and more than 416,000 were injured in crashes involving distracted drivers in 2010. Aggressive Driving: While we are all familiar with the classic cases of road rage, which typically involves physical assault or other criminal act, most of us are guilty of one or more forms of aggressive driving. This can include speeding, weaving in an out of lanes, failure to use turn signals or obey traffic control devices and tailgating. Drowsy Driving: This is also a big one, particularly alone desolate stretches of Texas highway. Early darkness and the time change can also impact the number of accidents caused by drowsy driving. And the year-end holidays can be a time of stress and sleep deprivation for too many of us. The family of a man killed in a San Antonio construction accident is suing two contractors after the employee’s badly decomposed body was found last month at the bottom of the Pearl Brewery smokestack. San Antonio wrongful death attorneys know many employees understand they are eligible for workers’ compensation benefits in the event of a work accident. However, too often an injured worker believes he is without additional legal options. While it’s true workers’ compensation laws generally protect your employer from a personal injury or wrongful death lawsuit, that protection does not extend to other contractors whose negligence may have contributed to the accident. Such third-party liability lawsuits are common when an injury or death occurs on a construction site, where multiple companies are often working under a general contractor. In this case, the Express-News reports the 31-year-old Chiapas, Mexico native fell 20 feet down a shaft during his first day on the job. The family is suing two contractors for damages; the victim left behind a wife and two children. The Occupations Safety and Health Administration is investigating. OSHA continues to be concerned about the large number of Hispanic and Latino workers injured in construction accidents. The Bureau of Labor Statistics reports the number of fatal work accidents among Hispanic and Latino workers increased 3 percent last year. In all, 729 Hispanic or Latino workers were killed on the job in 2011. Seventy percent of those cases involved foreign-born workers, the majority of whom were from Mexico. In fact, more than 700 Hispanic or Latino workers have been killed on the job in each of the last two years. Last year, these workers accounted for about 1 in 6 workplace deaths. And statistics show these workers are at particularly high risk for construction accidents — nationwide, one-third of construction workers are of Hispanic or Latino heritage. In response, OSHA has been conducting outreach efforts to help foreign-born workers better understand their rights under the law. Immigration status does not negate and employer’s responsibility to provide safety training, fall protection and other safety equipment. These workers have the same right to a safe workplace enjoyed by all employees. Most recently, the government has been focused on reducing the risk of fall accidents in the residential construction industry. Data shows about 40 workers are killed each year in falls from residential roofs — one-third of those are Latinos. Construction remains among the nation’s most dangerous industries, although fatal accidents have declined in the wake of the economic recession. Last week, the Bureau of Labor Statistics reported 721 of the nation’s 4,609 fatal work accidents occurred in the private construction industry. If you’ve been injured in a Texas construction accident, contact the The Herrera Law Firm, Inc at 800-455-1054 for a confidential consultation. The Express-News is reporting the tragic death of a toddler killed by his grandfather in a backover car accident in San Antonio. 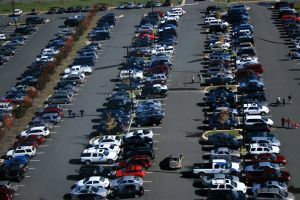 Our personal injury attorneys most often see these accidents in parking lots or private driveways. There is a particularly high risk as we head into the holiday shopping season, when malls are busy and large family gatherings pack driveways across South Texas. About 50 injuries and two child deaths a week are reported as a result of backover accidents — relatives are most often to blame. Emotions run high in such cases, and suing a family member can feel like assessing blame. Speaking to a wrongful death attorney can help protect your rights. In most cases, a claim should be filed in as amicable a manner as possible against the driver’s insurance policy. In this case, the 3-year-old boy was killed on the North Side after his grandfather backed over him in an SUV, according to authorities. He was rushed to a nearby hospital, where he was pronounced dead. Police are treating the case as an accident and criminal charges are not anticipated, according to the Express-News. It’s at least the second fatal backover accident in San Antonio in the last year — a man ran over and killed his 1-year-old nephew last October. Other local cases were reported in November 2007 and May 2008. Both of those cases involved a parent striking their child. KidsandCars.org reports children ages 1-2 are most at risk in these types of accidents. -Walk around your vehicle before moving it. -Know where children are and keep them in full view. -Teach children never to play around parked vehicles. The National Highway Traffic Safety Administration was so concerned about this issue that it mandated all new vehicles come equipped with backup cameras by 2014. Unfortunately, the agency has since caved to pressure by auto manufacturers and has delayed implementation of the proposed rule. The government estimates 292 deaths and 18,000 injuries occur each year as a result of backover accidents. The New York Times reports backup cameras are already standard on 45 percent of new vehicles. The problem has been exacerbated in recent years by the large number of vehicles built on truck and SUV frames. These larger vehicles have larger blind spots — particularly to the rear of the vehicle. Nearly half of these incidents involve children under the age of 5, while one-third involve senior citizens over the age of 70. If you’ve been injured in an accident, contact the The Herrera Law Firm, Inc at 800-455-1054 for a confidential consultation. Even before the Deepwater Horizon disaster in the Gulf of Mexico, the inherent risk of oil rig injuries in Texas was a daily fact of life for many families. In the fast-growing Eagle Ford Shale region of South Texas, motorists and oil workers alike are facing increased accident risks. Working on offshore oil and gas rigs has long been one of America’s most dangerous occupations. Employees routinely work 12-hour shifts, in dangerous conditions, while isolated hundreds of miles off the coast for several weeks at a time. The Bureau of Labor Statistics reports 120 employees were killed on oil and gas rigs in 2008. Nearly half were killed in transportation incidents, 1 in 4 fatal accidents involved a worker being struck by an object, and most of the remainder involved injuries resulting from fires or explosions. Texas oil rig accidents claimed 41 lives that year — most in the nation. Eagle Ford Shale accidents in South Texas continue to be of increasing concern. Other states that reported the most fatal gas and oil rig accidents included Oklahoma (21) and Louisiana (13). Over the last 5 years, the number of fatal oil rig accidents in Texas has increased by 20 percent. Oil and gas workers most at risk for injury include roustabouts, roughnecks, toolpushers, drillers and truck drivers. The Houston Chronicle reported earlier this summer that Eagle Ford’s highly productive wells and vast size are combining to make it the nation’s busiest and best shale play. Thus far, the Eagle Ford wells are producing more on a per-well basis thank the Bakken Shale area of North Dakota and Montana, currently the nation’s top play. Eagle Ford wells are delivering an average of 300 to 600 barrels a day, based on peak production, compared to about half that for wells in the Bakken. The Eagle Ford play also covers 400 miles, from East Texas south to San Antonio and the border. The Centers for Community and Business Research at the University of Texas at San Antonio estimates Eagle Ford will produce 65 million barrels of oil this year — compared to the 36.6 million barrels produced last year. As our San Antonio trucking accident attorneys have reported, the increased production is also being blamed for a drastic increase in commercial trucking accidents in the region. Frequently, we find cut corners and a profit motive involved in such accidents. In the wake of the deadly BP refinery explosion in Texas City in 2005, which killed 15 oil workers and injured 190 others, the Chemical Safety Board found evidence of cost-cutting on maintenance, employee fatigue caused by extended work hours, and other risks caused by aging equipment. Challenges remain across the border as well. The Washington Post reported earlier this month that a pipeline blast in Mexico, across the border from McAllen, claimed the lives of 30 workers and injured 46 others at Pemex — Mexico’s predominant oil company. It’s either the Cowboys or the Texans. 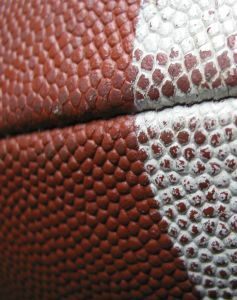 For those college football fans, Texas has 10 Division 1-A schools, including University of Texas, Texas A&M and Baylor. Whichever team you are rooting for this year, safety officials urge you to do so responsibly. Organizations like the National Safety Council are reporting more traffic deaths will occur this year than last. Texas, California and Florida lead the nation. Whether tailgating for hours before the game, or joining friends and family at a private party, celebrating responsibly is the key to making it home safely. San Antonio personal injury lawyers know that about one-third of all fatal accidents involve alcohol — claiming more than 10,000 lives a year, according to the National Highway Traffic Safety Administration. Somewhere in America, a motorist is killed in an accident with a drunk driver every 50 minutes. And the last three months of the year — from the start of football season through the year end holidays — are routinely the most dangerous. Mothers Against Drunk Driving and the National Football League are joining forces for the third year in a row, urging fans to “play the most important position in the NFL — the Designated Driver.” The campaign will include MADD booths at many NFL games, as well as parking lot signage and other safety efforts. Through MADD’s “Power of You(th)” Facebook page, teens are also urged to take a pledge not to drink before age 21 and to never ride with someone who has been drinking. In the last decade, the increasing popularity of tailgating before games has increased the risk. One study by the University of Colorado, which examined arrest records on game day in 26 college towns, found a 76 percent increase in alcohol violations and a 13 percent increase in drunk-driving accidents. Nationwide, the U.S. Department of Transportation reports 10,228 motorists were killed in car accidents involving alcohol in 2012. In Texas, nearly half of all fatal accidents (48 percent) involved a driver who was under the influence of alcohol — accounting for 1,450 of the state’s 2,998 traffic deaths. Only South Carolina, at 51 percent, had a greater percentage of drivers involved in fatal accidents who were under the influence. And Texas recorded the most deaths. No other state reported more than 1,000 deaths involving intoxicated drivers in 2010, the most recent year for which statistics are available. -Serve plenty of food and non-alcoholic beverages. -Having the number of a taxi service or other alternative transportation options available. -Never serve an underage person alcohol. -Stop serving alcohol well before the end of the game and offer coffee or other non-alcoholic alternatives. A conviction on a first-offense charge of driving under the influence can result in up to 6 months in jail, the suspension of your driver’s license for a year and a fine of up to $2,000. Please root for the home team responsibly — and help make sure that your friends and family members do the same!